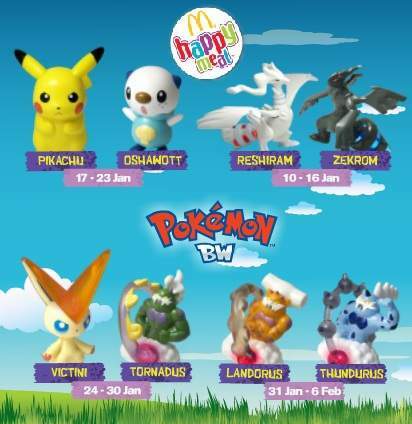 Pokemon BW ~ the new series of McDonald's Happy Meal toys have been released this week! These series of toys are given away from 9th August to 5th September 2012 for 4 weeks. 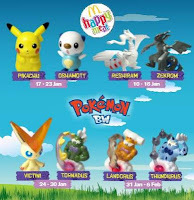 Check out these Pokemon BW actual toys via McDHappyMealToys.